Godrej and Boyce silenced the click-ding of its iconic typewriter last week. The company stopped production at its last typewriter factory in Satara, Maharashtra, drawing a collective sigh from veteran journalists, writers and a handful of typewriter enthusiasts. Some rushed to type out elegies on laptops, while others bemoaned the muting of the immensely gratifying sound of a depressed typewriter key. Godrej decided to shut its unit as production had become unviable due to diminishing demand. In its heyday, the unit, set up in 1955, manufactured 50,000 machines a year. Of course, at that time, Godrej competed with the whole gang of Underwoods, Hermeses and Remingtons, which also petered out over the years. Godrej, manufacturer of the only indigenous typewriter, also progressed and kept its portfolio diverse, with languages and models, and evolved from mechanical to electronic typewriters. But the digital tsunami was too much for the original qwerty. Godrej will probably auction the remaining 200-odd typewriters. But barring the odd typewriter buff, it is safe to say these little boxes of delight will be relegated to Google searches on smartphones. "We, honestly, have no patience for old or used objects. We are very unforgiving about old technology," says Sarnath Banerjee, a graphic novelist. Banerjee treasures his cute little portable pista-green Hermes typewriter, handed down by his father. The typewriter makes numerous appearances in his graphic novels, especially in Barn Owl’s Wondrous Capers, which featured Underwood typewriters in a typical, airless government office. 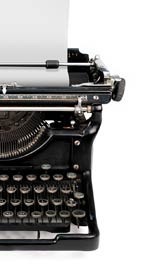 Though typewriters are in an interminable and crippling coma, court premises, whether in big metros or small towns, still echo with the noise of divorces, wills and affidavits being hammered out on rundown typewriters. Some also survive in police stations and remote government offices, mainly for lack of power. Pratap Singh travels for three hours every day to get to Patiala House Court in Delhi and sits under a sprawling peepul tree, hunched over his 20-year-old Remington typewriter for scraps of business. "Of course, computers killed the typewriters. Now there are just four of us left," says Singh. The typists swelter under a tattered tarpaulin in an unforgiving May sun. Singh and his three fellow veterans sit cornered, as computers manned by slick young men close in on their dwindling population. Singh, though, brightens up a bit as he signals a passing tea-seller and says, "These young boys still come to us to ask how to write an affidavit. And though you can print them through computers, you can’t make changes to the text. Only we can do that." Even in Kolkata, which probably still has the most typewriters of any metro, courts double up as typewriter museums. Indrajit Ghoshal has spent his weekdays of the last 26 years under a long white canopy near the eastern end of Kolkata’s Judges Court, typing out letters, deeds and agreements. So have dozens of others, mostly in their mid-50s, with drawers full of foolscap sheets,carbon,whitener and staplers. Ghoshal, like Singh, travels a long way to come to "work" that on a good day, will fetch Rs 200 and on a bad day, nothing. The court premises are a treat for any typewriter fan, with the entire range of machines, Godrej, Remington, Halda or Facit, and even imported ones like Royal, Hermes or Olympia on display. Since 1985 when he bought a table in the Judges’ Court, Ghoshal has been banging out legal documents. "I work for 11 months a year. We get our machines serviced during the holidays as we cannot afford to do so during normal workdays. It is ‘no work, no pay’ for us," says the 50-year-old who runs his nuclear family with the meagre income of around Rs 4,000 a month. Shyamali Nath, who has been at the court for the last 26 years, believes, perhaps a bit delusionally, that the typewriter "will never die." Her confidence is not shared by the 15-odd typists of Hazra Typists’ Association, who share a dingy and humid asbestos-roofed space without a toilet, waiting for clients from 9 in the morning to 9 at night. "We were 75 (in number) and used to work in three shifts, sharing table space" sighs Prasanta Kumar Sen, 50, who has occupied a table for the last 30 years. But why did they not adapt to change and shift to computers? Amiya Biswas, 49, who doubles up as a lawyer’s assistant, blames it on poverty. "Computer training is expensive and it requires more skills than typing," says Biswas. An elderly woman enters with a few papers in her hand and the 15 men nearly swoon at the sight of the first customer since morning. Many of them learnt the trade in typing or secretarial colleges, which, like typewriters, are now out of favour. Rajkumar Hirani, famed director and screenwriter (Munnabhai franchise and 3 Idiots), grew up in the company of these machines. His father owned a typing institute, Rajkumar Commerce Institute, in Nagpur. Hirani jokes, "Everyone thinks the institute was named after me. But the truth is, I was named after a typewriting institute." He reminisces that not so long ago, his father used to say that people will always need a typewriter. "But within two years of computers showing up, he was out of business and he shut down fully about a decade ago," he says. Mechanics for typewriters and spare parts are also hard to find. "Spare parts are vanishing fast," says 49-year-old Anjan Das, one of the few people in Kolkata who can service a typewriter-of any brand. After losing his job as an assembly final adjustor at Remington (the company wound up in September 1993), Das started a small workshop fixing typewriters and selling them. Das, who still has what it takes to assemble 1,750-odd parts and 158 springs to put a typewriter together, is contemplating on giving it all up. "There’s hardly any business since 2008," he says. "I have already told the typists that I won’t be able to service their machines after this year. Even the spares shop has closed down." So has the last typewriting school in Kolkata, Shekhar Commercial School, on Hazra crossroads. Sooni Taraporevala, photographer and screenwriter, and Mira Nair wrote the script for Salaam Bombay on an electronic typewriter. Taraporevala had gone to the Godrej factory when she was photographing Parsis in the 80s. "It was one huge factory space, full of typewriters. The man in the front (see photo) is listening to the typewriter. The other person is joking about him working too hard," explains Taraporevala, who learnt both typing and shorthand after school. In a narrow lane in south Mumbai’s Kalba Devi, Manohar Puranik, 66, has probably handled almost every typewriter ever manufactured. Any mention of how typewriters are dead makes him angry. But he scored a moral victory when a manager went to him to buy typewriters for his employees instead of computers. Puranik explains the anomaly, "He complained that his employees play cards on computers in their free time. So he wanted to replace the computers with typewriters."